Candlewick Press (MA), 9780763644321, 182pp. 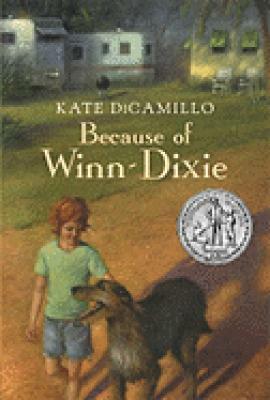 Kate DiCamillo's beloved, best-selling debut novel is now available in a paperback digest edition. proved to be a keeper a New York Times bestseller, a Newbery Honor winner, the inspiration for a popular film, and most especially, a cherished classic that touches the hearts of readers of all ages. It's now available in a paperback digest format certain to bring this tale's magic to an even wider circle of fans. Kate DiCamillo is the author of THE TALE OF DESPEREAUX, which won the Newbery Medal; THE TIGER RISING, a National Book Award Finalist; THE MIRACULOUS JOURNEY OF EDWARD TULANE, winner of a BOSTON GLOBE-HORN BOOK Award; six tales starring the inimitable Mercy Watson; and the NEW YOURK TIMES best-selling picture book GREAT JOY. She lives in Minneapolis.